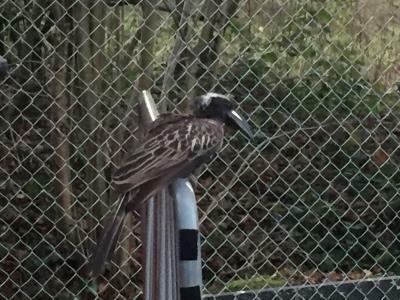 Large, corvid type bird with black and white striped bird, gray feathers, long tail, talons. Seen by member of my laboratory in midlands, England. We have not idea what this bird is.